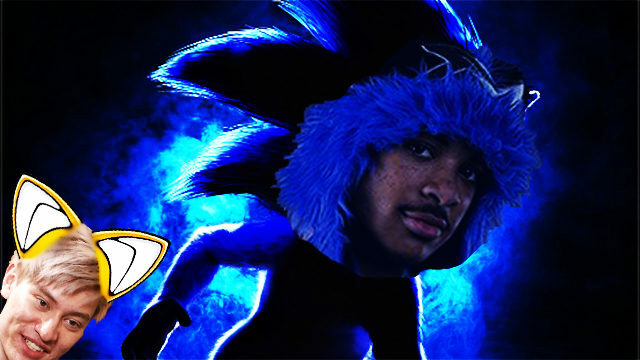 Less than a week after his surprising win at the Video Game Awards, Dominique “SonicFox” McLean has reportedly signed a multi-million dollar deal with Paramount Animation to portray the world famous blue bomber in their recently announced live action Sonic the Hedgehog film, scheduled for release in August of next year. SonicFox, a notable fighting game community luminary, rose to prominence in recent years being almost uncontested when it came to the Injustice and Mortal Kombat franchises. Famously, he is commonly seen competing in full fursona costume, which has drawn widespread attention to him. “SonicFox is the counter-cultural icon for the current generation we’ve been looking for; he’s perfect for the role,” Paramount Pictures CEO Jim Gianopulos told Anime Maru. Additional leaks from the production include fellow fighting game competitor William Peter “Leffen” Hjelte to play Tails, who will star alongside the already confirm Jim Carey as Robotnik. Sam “SammyClassicSonicFan” Harbors and Paul Fieg are also expected to be involved. This is a disgusting news. The pure contribution of Sonichu by the great Chris Chan are not mentioned at all.